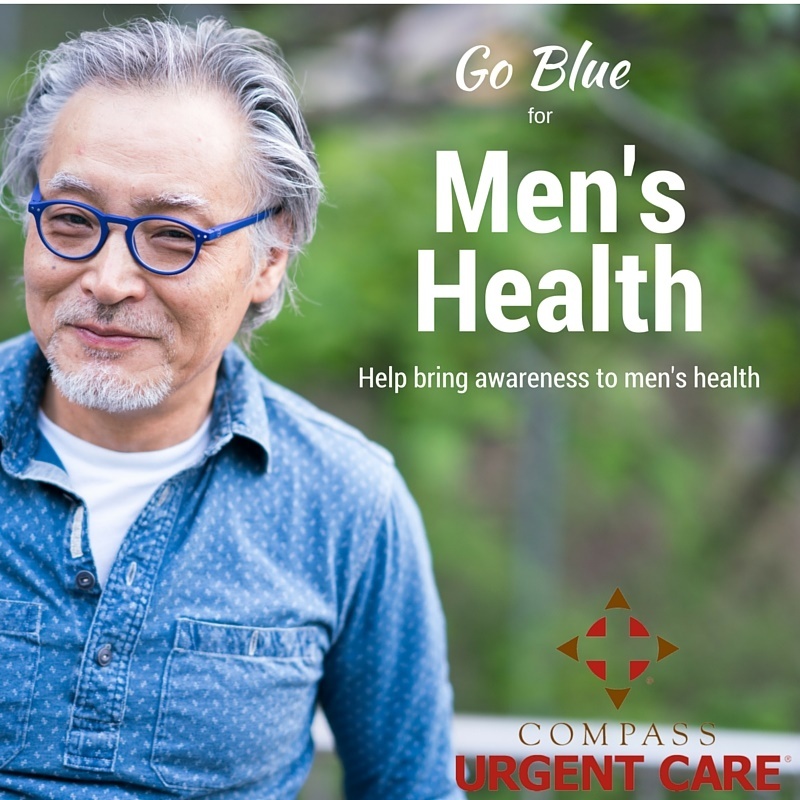 This month, Compass Urgent Care is focusing on Men’s health. And, to show our support, we’re asking that all of our patients join us by wearing blue on Friday, June 17th, before Father’s Day. Whether friend, brother, boyfriend, father, spouse or boss, we want to show the men in our lives that we care about their health by wearing blue. It’s a fact that men die younger. Wear Blue was created by Men’s Health Network to raise awareness about the importance of male health and to encourage men to live longer and healthier lives. This means raising men’s awareness of their health by helping them make healthier lifestyle choices, encouraging them to book appointments for regular annual healthcare screenings and getting educated on heart disease and diabetes. 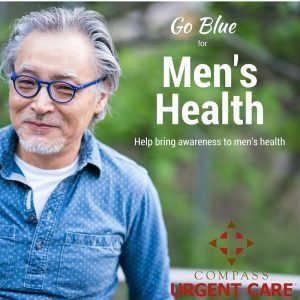 Throughout this month, Compass Urgent Care will be featuring information on how men can get healthier, eat better and start moving. Join us on our mission to reach men and their families, by spreading health awareness messages where they live, work, pray and play. So, get ready to #showusyourblue and share your pictures with us on how you are bringing attention to Men’s Health Month. Send your pictures to contactus@compassurgentcare.com and we’ll share them on our Facebook page.